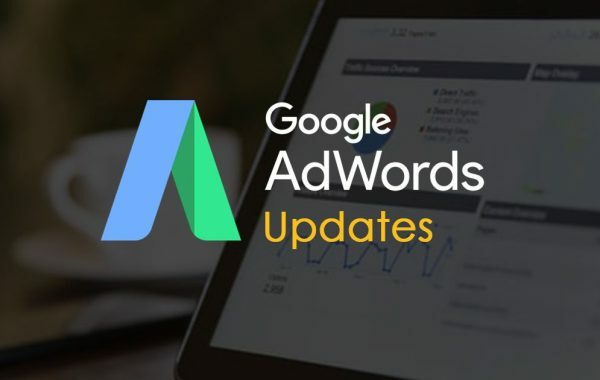 Two of the primary AdWords update of 2018 tends to focus on the Landing Pages Report and also the increased accuracy of the Customer Match Options. However, there is more. Take a look at what are the new things that you will find on Google AdWords. Google AdWords is considered as the best and most trusted PPC advertisement network on internet. we at Edkent Media, also are the partners of Google Ads program for our client’s product promotions. Since the year 2014, the advertiser on Google Ads has taken part in developing an measuring custom metrics at the ad group level and the campaign. However, in recent time, Google has announced an update which allows the users to do this at the ad and keyword level for the purpose of better specificity. In order to start with the custom columns, you have start with the keyword section of ads and click on the button called column modification. Thereafter, click on the Custom Columns. This is going to bring up improved and new custom column creator just inside the keyword and ad tabs. You will be able to customize the metrics on the basis of the conversion and performance element. The addition is going to prove really useful when it comes to further analysis of keywords and choose ads instead of the entire ad group. The options are limitless and also customization to the goals as deeps as the ad levels and the keywords. Apart from the new customization options and also the custom columns and the landing pages are known to have secured a fresh overhaul. Originally being released in the year 2017, this page has been modified and updated to reflect diverse and new metrics like cost, clicks, and conversion rates that has been labeled under performance, conversions, and view ability. Along with the new report, the landing pages which you have used for the ad is going to show. This is going to offer you an actionable date such as mobile-friendly clicks. When you are able to understand the performance of the landing page, it is important for the quality scores. It has become even easier. You will be able to check the report on the dashboard. Customize the columns and the metrics on the basis of the KPIs and you will be able to analyze which landing pages are actually performing the best. Write a new ad on AdWord is frustrating. 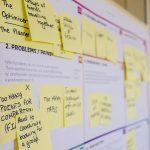 You have enough information which you require for communicating with the potential buyers. Yet Google will only offer you with 80 character for the description and 30 characters for the headline. This means that you will not be able to share everything that you require for convincing the cold traffic to purchase from you. More often than not, it is going to leave you boring headlines that people are going to ignore. Headlines which focus too much on the discount and not just a compelling value proposition is good. The good news is that Google Ads has added promotion extension. Promotion extension is going to allow you to add another tab of information to the ad displaying your specific products. With the extensions, you will be able to control it when they are shown and also on what device. Thus, it simply means that you will be able to customize the offers on the basis of the device. With this extension, you do not have to bother about copy wastage. A/B testing ads, creative, and copy are key to success on AdWords. However, prior to the recent updates, A/B testing was not that easy. It is generally involved in developing multiple campaigns or the ad groups and also launching new tests. However, with new Ad variations and Google Ads experience, you will be able to do an AZ/B test search network ads at a particular sale. For example, if you want a specific copy, you will be able to apply it to many ads simply with the click of a button. The best thing about this is that the AdWords will show you results which are statistically important. Google has released a customer matching option to the public. This allowed the AdWord advertisers to upload the files related to customer date for matching up to the existing customers to the target audience. This makes re-marketing much easier than before. People love it because it converts well. You can now upload the files on the existing customer with the help of the mailing address and the phone number for better matching the retail users. You can also create the custom new audience for the existing customers on basis of the two parameters to get an accurate matching.